New Delhi is known for historic sites, parks, shopping, museums, and fun & games. Your plan includes some of its best attractions: take in nature's colorful creations at Humayun's Tomb, take in the spiritual surroundings of Bahai Lotus Temple, steep yourself in history at Gurudwara Bangla Sahib, and don't miss a visit to India Gate. 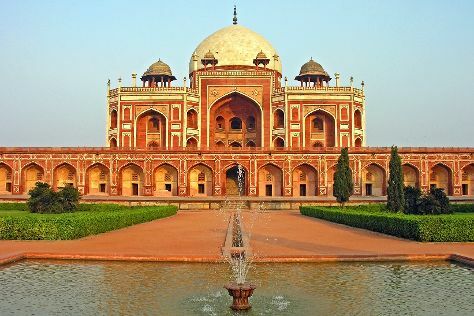 To see more things to do, reviews, and tourist information, use the New Delhi tour itinerary builder tool . If you are flying in from United Kingdom, the closest major airport is Indira Gandhi International Airport. In March, daily temperatures in New Delhi can reach 34°C, while at night they dip to 18°C. Finish up your sightseeing early on the 13th (Tue) so you can travel back home.